…One more time, please ladies, don’t apologize for being a woman. Never. You have to believe in your project, be well surrounded and just go for it. I think we possess some great qualities that men don’t necessarily have and these qualities allow us to be very competent: we are multitaskers, tactful, empathetic and close to people. Women should use these qualities to their advantage instead of seeing them as inconveniences. It is this last quality that makes Wishibam so special, we bring brands closer to people, their audience, their customers. Team spirit is extremely important to us. 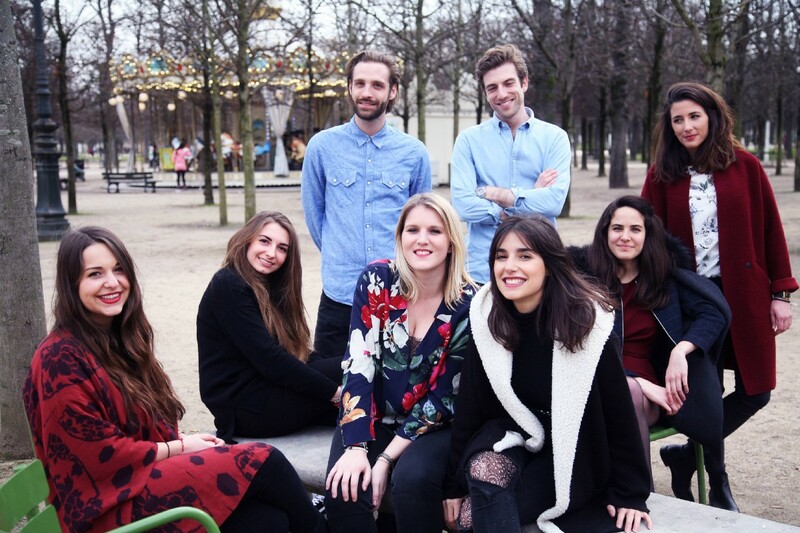 Wishibam is a team of young, ambitious and convinced entrepreneurs. We do not want an Amazon-focused trade where shops no longer exist in cities, that is our “raison d’être” and we will go all the way. Every success is a team win. Each person on the team has a role to play. We are a big family that moves forward together, supports and listens each other regardless of gender, race or religion. We move forward and win together. Sometimes we fall, but we learn from our mistakes and rise stronger together. I would argue that fostering more inclusive company cultures will help attract more women to the field of AI and even tech at large. As part of my series about the women leading the Artificial Intelligence industry, I had the pleasure of interviewing Charlotte Journo Baur. Charlotte is the founder of Wishibam, a company she launched because she doesn’t want an amazonized business landscape. Passionate about retail and AI, she has taken on the challenge of bringing the two together to revitalize retail. 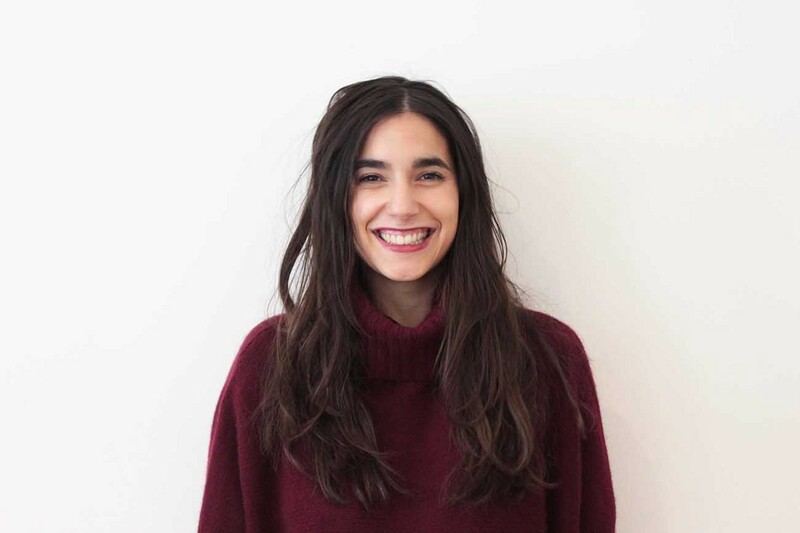 After 3 years of R&D, she launched Wishibam for business, a white label SaaS solution that aims to enable retailers to renew with sustainable growth. My name is Charlotte, and I am the founder and CEO of Wishibam. I have a classic background: two years of preparatory class, after which I integrated the EMLYON Business School where I pursued a BA in entrepreneurship. I quickly knew that I wanted to be my own boss. I was born into an entrepreneurial family, so it was natural for me to follow the same path, especially since I have always been passionate about retail. My grandmother had a store on Place d’Italie in Paris, and I have always been fascinated by the relationship she nurtured with her customers. She was always there for them, to assist them, to exchange with them, and that’s what paid off every time! When I chose to start, I quickly realized that the human relationship my grandmother could have with her clients was finally something quite rare. Meanwhile, e-commerce has exploded, and shops on the outskirts have started to close in favor of websites like Amazon. I don’t want this. Everyone has a place. So I thought about my grandmother, and all the new technologies that were starting to take hold. I quickly knew that they could be exploited and put to work to augment customer experiences. Today, the customer has access to everything right away, and it has become very complicated for a salesperson to serve and inform them. But with AI, everything is changing and we can rethink physical commerce in the digital age, we have to use new technologies and data to enhance the customer journey. It was my love and knowledge of retail that led me to launch Wishibam. I have two lessons I can share with you. The first one, choose your team wisely. For me, Wishibam’s success is chalked up to a team effort. Team spirit is essential at Wishibam because we win and lose together. Each person on the team is important, and it is important for me to regularly be vocal about this. Wishibam was born from a pivoted business. At first, I was asked to take over a start-up company, Zoomdle, which wanted to be the Shazam of fashion. A great project but poorly managed. The CEO was not honest about the figures and the team was lost, demotivated because there were no results. The CEO has since departed, but many members of this original team remain. My first mistake was to take too long to separate myself from those who were not motivated enough by the project, regardless of their skills. To move forward and succeed, it is important to be well surrounded, to communicate well and to support each other. My second lesson, “Everyone knew it was impossible to do. Then, one day, someone came along who didn’t know it, and he did it”, a superb quote from Marcel Pagnol. That’s exactly what happened to us. By moving from Zoomdle to Wishibam, we went from €30,000 turnover in 1 year, to €800,000 and then to €2.2 million the following year. We have attained these results without any marketing investments, only by taking an interest in our customers: we listen to them, we pay attention to their requests, the shopping assistant advises them, we hence establish a real relationship with them. But now, this growth is no longer enough for us, we want to go further and bring our brick to the changes in consumption patterns. This is what led us to launch Wishibam For Business: the only SaaS solution that reconciles e-commerce and physical commerce. And that’s how we digitized 25,000 m2 of commercial space. We have integrated store inventory, unified and updated it online, making it available to customers in real time, on the web. To date, we are the only ones in the world to have succeeded in deploying a solution that uses technology to generate real-time revenue in stores. If we have succeeded in doing so it is because we are a team, we complement each other, we support each other, and above all we believe in this project! The data is there: physical shops are losing ground, we are recording decreases of almost 60% in store footfall, and on the other hand, e-commerce is exploding with sales growing by 160% year over year. Retail is dying, and I don’t want to think that in a few years’ time, my grandmothers shop may no longer exist, or that interactions between merchants and clients may no longer exist because e-commerce is taking over. I come from a family of entrepreneurs, and in particular retailers, and I refuse to accept an Amazonized trade where shopping centres will be replaced by Amazon or Alibaba warehouses. In France, shopping centres represent 5% of overall GDP and over 450,000 direct jobs, i.e. 26% of the total number of retail jobs, so the difficulties facing this sector are enormous, it is a real societal challenge. And that is why we are talking with major retail players, i.e. landowners and local authorities, to revitalize trade on a national, and hopefully soon after, a global scale. During 2018, we fully digitized The Village Outlet. We deployed our entire ecosystem of solutions there, and we are extremely proud of the results. Within 6 months, the centre recorded a 15% increase in store turnover, and subscribers to our loyalty programme continued to increase and even double every month. Technically, the challenge was huge, but we made it. We have succeeded thanks to machine learning which is at the heart of our ecosystem and allows us to recover, homogenize and reconcile stocks as well as customer data to create a digital mirror of the physical mall. Our efforts paid off, and The Village won the MAPIC Award for Best Outlet of the World last year. This year, we are in the process of deploying to more shopping centres, which will then become trusted third parties online. E-commerce is no longer a competitor but a boost to store profitability: 70% of turnover is generated after 7pm (when shops are closed) and 20% on Sundays. Because we really want to help retail, we are launching new and even more exciting challenges. It’s still confidential and in its early stages but very quickly: we are making progress on digitizing city centers. We know it’s going to be hard to deploy but we’re ready and we’ll be proud to have done it, because at Wishibam, challenges don’t scare us, quite the contrary, they motivate us! It’s a little difficult to choose only one person, because in this adventure, I have been very well surrounded. As I was saying earlier, the most important thing for me is the team I work with. With good support, we go so much further so much quicker. First of all, I want to mention my grandmother. She is proof that the relationship between two individuals is what matters and that a client is sometimes willing to pay more to have a real experience. Then I’d say my father. He taught me that there are no limits other than the limit we set ourselves, that success takes time, he taught me to believe in myself. Finally, my husband and my team support me every day, advise me and push me to go further. I listen to them, all the time, I take into account each of their ideas, whether they are good or bad, and I keep moving forward. Beyond this circle, I often meet inspiring people who open up new horizons for me: Marc Taieb and Jean de la Rochebrochard, for example, have had a profound impact on how I run my business^. Working in the IA industry is exciting because it is still quite recent, so there are 100,000 things to do. Right now, it’s a bit of a race for the most efficient, the most ingenious, and it’s a real challenge. AI is not easy to control, it takes a lot of testing before the algorithm takes effect. And in that respect, I am very proud of my team of developers because they have succeeded in setting up real technological jewels. Wishibam works on the principle of machine learning and this enables our e-personal shopper tool, for example, to go very fast. A stylist can process hundreds of customer requests in a short period of time and in an ultra-personalized way. Thanks to this algorithm, we can practically anticipate the customer’s request: we know their tastes, their shopping habits, and their browsing history on the app. Since the stocks in the shops are those of the eshop and vice versa, and they are constantly up to date, disappointments due to stock shortages can be avoided. A customer request is processed in less than a minute, even if the customer initially requested a selection of 5 items. I am very attached to what my developers have been able to implement. The Wishibam algorithm is a bit like my baby. We’ve imagined it for a long time, worked on it. We tested it, made it evolve. We teach it new things all the time, and it teaches us things too. One of the strengths of our ecosystem is that we free the human being from certain repetitive tasks, and thus free up time for salespeople to focus on the tasks that will allow them to create value for their customers. IA allows us to offer our customers an enriched and unique shopping experience. And customer satisfaction is our priority. AI is another world, other limits that can be overcome. It’s one of the most exciting things in this industry. We know that we have competitors, that they may be as strong as us, or less so, or more so. You have to stay at the forefront all the time in order not to be overtaken and this forces you to surpass yourself, this is a core value at Wishibam. Each person employed at Wishibam was hired not only for a particular set of skills, but also for all that they could bring in addition. Today, our algorithm allows us to go very quickly on the selection of items that the shopping assistant will send to a customer, it saves us time in regards to inventory management and order preparation. But tomorrow, if we want, we can develop other AI based algorithms to offer even more to our B2B customers. But beware, AI is vast. Today, everyone is talking about it, everyone wants to do it, but few actually can. It is now that we must be able to position ourselves and ask the right questions. How do we want to use AI? For what purpose? For me it’s funny to hear other companies say they want to get into AI because we already have 3 years of research. 3 years of trying, roadblocks, success, key learnings, sleepless nights because we wonder if it will work, if the idea is really good. I know that Wishibam is ahead of its competitors, I am making sure that we keep that lead. For me, AI is also a concept of responsibility. It’s very exciting to know we’re going to use our algorithm to collect consumer data, but you have to know when to stop. I recently read that American researchers have succeeded in developing an AI capable of producing fake news on its own. It’s both fascinating and frightening. Fascinating because the algorithm is based on billions of registered words and is able to publish an article, and interact with Internet users. But it’s also a little scary to see how far this can go. Especially since today, we receive hundreds of news bits per day, and among them, many can or are false. We are dealing with an audience that can be too gullible at times. Finally, I hear that AI could kill some trades. I do not agree with that. I think that on the contrary, it will be there to complete them. The ecosystem we have set up on The Village includes an order processing application. The algorithms allow us to save a lot of time on order validation, when sending notifications to the customer, but we will always need a human for certain portions of our trade. Thanks to our solution, the runner knows that the item is available in the shop, he doesn’t need to look for it, and because he has saved time on that, he can spend more time on preparing the package: a personalized card, a nicely wrapped package, a few goodies to thank the customer for their loyalty. We developed our algorithm to save time, not to cut jobs. I find it particularly exciting because we are moving towards a renewal of some jobs. Moreover, I think AI will create new ones, because it is not only about having AI, you have to be able to train and develop it, develop it. And that’s why I already have AI specialists amongst my team of developers! The AI and its limitations are at the heart of the debates. We must therefore keep a constant eye on the data it allows us to collect and its uses. Our goal is to support, to help the customer, not to hunt him down all the time.In the retail sector, more and more of us are offering solutions with AI. There are the fitting rooms connected that will give you size or product suggestions, some brands will now think about their shops, according to digital and new practices. Cross-selling is largely pushed forward to encourage the customer to spend more. All these innovations are extraordinary, and I am sure they can contribute to the customer’s shopping experience. But you have to be able to set your own limits, and in that case, you’re lucky to have the DGMP regulation. Imagine a site or app that would make a photo or video without your knowledge of your reaction when ordering. I’m not sure the customer will really appreciate it. Artificial Intelligence is a godsend. But it must remain in good hands. I’m not saying that one day the machines will turn against us, like in a science fiction film, but you see, that’s what I was telling you earlier, those American researchers who developed an algorithm that could interact with readers and then publish articles completely independently. Imagine the disaster if these media started publishing fakes news, and worse, if they became able to respond to readers’ comments. This comes back to Stephen Hawkin’s fears when, in 2014, he said he was afraid that humans would be overtaken by an AI that would have the ability to improve and multiply itself, when he himself had already been extremely dependent on these technologies for several years. I read a lot of articles about these e-merchants who start delivery by drones or autonomous vehicles. It’s extraordinary, I love it. But imagine the losses in the event of piracy of these new carriers: loss for the merchant, loss for the supplier, and degraded customer experience. A robot that is autonomous thanks to AI can be a real danger. Mastering AI is not easy for all companies, but those who know how to use it also know how to divert it. And this can be very worrying. Fortunately for Wishibam, we are not yet facing this risk since we use AI for data processing, but it is still a risk for which we must be prepared. Likewise, it is necessary to be able to ensure that the robots are properly programmed. If, for example, a retailer uses a stand-alone machine to process his inventories, it would be a pity to have distorted stocks because of a robot scanning the same label several times. On these diversions, I am also very concerned about the imitations that can be obtained thanks to AI. Facial and voice recognition can be misled by a very good AI. This is also very worrying because the Internet user must be able to feel safe when connecting to a private space. For example, at Wishibam, we do not store any data related to the payment of an order, they are encrypted. And even if a customer chooses to save their payment credentials, we have no access to them. But what protection can we promise him if the account can be hacked? Finally, what also worries me about AI is that more and more of us are interested in it, in mastering it. But we are not all at the same stage. We are currently preparing our fundraising, to be able to accelerate our development. But imagine if a competitor gets up before us, or after but more. As an innovation-based solution, potential new players are likely to emerge. We are 3 years ahead in R&D and a digitized centre to our credit, which allows us to be one step ahead. On the other hand, a very substantial fundraising could allow existing players to accelerate by strengthening their technology and lowering prices to gain market share. AI seems indispensable to me today because it helps us no matter what we do. It can be adapted to all sectors, whether retail, medicine, tourism or defence. And wherever we are, whatever we do, it serves us and can be further developed. But its development must absolutely be controlled worldwide. In Europe, we have been applying the DGMP law for a few months now, it must be extended to all countries, across all continents in order to allow all the same chances of development as well as protect people’s privacy. Today, at Wishibam, we understand AI and use it, it is the heart of our business and we know what can happen to us. But because France applies the regulation, we could be blocked in our developments because there are certain data sets that we are not allowed to collect. On the other hand, if Wishibam were a US based company, we would not have these restrictions, and we could go even further in our research. That is exactly what happened in the Elon Musk vs Mark Zuckerberg debate. Zuckerberg knows very well that AI can be a danger to humanity in the long run, because we are able to collect enormous amounts of data, some of which is very personal; but today it is in his, and his business’, best interest to ignore these dangers. which allows him to offer us networks that know us by heart. I agree with Elon Musk’s idea. Today, we know this AI and we can control it. But who knows what will happen in 15 or 20 years’ time. Will we still have the same control, or will we be overwhelmed? I think it’s great that he was able to create an association dedicated to the monitoring of AI and its progress in our society. For me, it must be treated with similar urgency as global warming: it is imperative that we regulate its use to avoid breaches and leaks. I would like to say we should create a global organization tasked with defining and implementing rules and regulations around AI, but I’m afraid we won’t succeed, or at least not right away. We have been aware of the dangers of AI, just as we have always been aware of what we are doing to our planet. When I look at where we are today, I am not convinced we are capable of regulating ourselves unless we reach a critical point. If we do not manage to regulate practices now, the web giants will have to quickly take responsibility and set limits. The race for AI is becoming too competitive, even dangerous. In addition, for me, we need to rethink our education systems and raise awareness among the youth as soon as possible. Schools must teach children to be creative and curious, to understand what surrounds them and what can be a risk. We humans must develop this emotional intelligence that will make us strong against robots, who for the moment cannot feel emotions. Typically Elon Musk has created a school that seems to respond to this, and his entire curriculum is well summarized when he says, “It is important to teach problem solving, or to teach the problem and not the tools”. And I very much agree with him. In an interview he gave at the Khan Academy, he explained that it was important to gamify education, and here again, I can only agree. The next generation will be trained and made aware from the beginning, which will, in turn, help limit the damage. For the generation(s) in between, there is a lot of preventive work to be done, it is necessary to be able to inform and reassure the customer. At Wishibam, we love our customers, it is our first core value, and we strive to achieve full satisfaction all the time. Because it is by listening to them and reassuring them that they will purchase time and time again but above all, that they will talk about their experience with us to those around them. We therefore choose to be honest with our customers. Yes, we collect data, but to better serve them. As soon as the customer is notified and reassured, then there won’t be a problem. The data we collect is confidential and will never be shared. Of course, if a customer objects to this, their data is deleted. If they have any questions, we make sure to be available to them, to advise and reassure them. We regularly get customer inquiries about the data we collect about them and how we utilize said information. The feedback is always positive, our customers thank us for being attentive and available. Wishibam was born because I chose to put human interactions back at the forefront of tech. It is a fact that customers have changed his buying habits. Before visiting a store, they look browse online. But if they don’t go through with it, it’s because they’re alone in front of their questions: how does the product size fit, is it available in my favorite/closest store? When I took over Zoomdle, which was not yet Wishibam, we had very few daily sales. On the other hand, before each sale, we had several calls or emails from customers who wanted advice on the items they found on our site or app. I quickly noticed that there is a direct correlation between how well and quickly we answered their questions and how much and often they ordered. Customers want to be sure they are purchasing the product that fits their needs, they want reassurance, especially when purchasing online, without seeing and feeling a product. I thought about my grandmother and all the valuable advice she used to give her clients. I had the opportunity to work with her for a while when I was younger, and it was so nice to see these clients so satisfied. And that’s how I came up with the idea of transforming Zoomdle into Wishibam, giving it that little something that finally makes all the difference. One’s customers have control over the faith of one’s store and business. And our interest is still to live with and especially for them. That’s why customer satisfaction is our top priority. They remind us of this every time they give us feedback. Our customers keep thanking us for the handwritten cards we send them, for the candies and gifts that come within their packages. They deserve and cherish these details, that extra attention. It is because it worked so well on our B2C marketplace that we wanted to go further and offer our solution to other brands and stores. We have proven that on a small scale, paying close attention to customers will have a very significant impact on sales and the health of a business. We are now turning to the players in the retail sector, whether they are landowners or local authorities, to offer them our solutions. We fully deployed it to a shopping centre in 2018, The Village Outlet, and the director of the centre as well as store managers are very happy with its results because in the space of 6 months, the brands have gained +15% in store revenue. The reason store managers are so content with it is because those additional online sales are accounted for in their results, the in-store results since the stock made available is the physical stock they have in their shop. The loyalty program continues to see its membership numbers increase, reaching +40% month over month. I am extremely proud to have been able to bring all this to our clients, and above all, to our future customers. Additionally, The Village’s success opens the eyes of our new customers. If some of them may have been sceptical until now, they now have proof that there is nothing to be afraid of when it comes to digital transformation, which is exactly what we are offering them. There are not enough women in AI, and that is a pity because we too have a lot to contribute. My advice is as follows: Don’t apologize for being a woman: we know how to do several things at once and have a heightened emotional intelligence. You shouldn’t be afraid to impose yourself. Under the pretext that we are a woman, our clients may think that we have less control over the subject. Which, of course, is a mistake. You also have to be respected by your team. At Wishibam, we have a team of 15 developers, being led by a woman could have been a problem for some, but for me it’s not the case. But I know that in some companies it can be difficult. It is necessary to be able to get rid of the clichés within the technology sector, they are too numerous and too heavy. As soon as we get through this, we’ll be well on our way! One more time, please ladies, don’t apologize for being a woman. Never. You have to believe in your project, be well surrounded and just go for it. I think we possess some great qualities that men don’t necessarily have and these qualities allow us to be very competent: we are multitaskers, tactful, empathetic and close to people. Women should use these qualities to their advantage instead of seeing them as inconveniences. It is this last quality that makes Wishibam so special, we bring brands closer to people, their audience, their customers. Team spirit is extremely important to us. Wishibam is a team of young, ambitious and convinced entrepreneurs. We do not want an Amazon-focused trade where shops no longer exist in cities, that is our “raison d’être” and we will go all the way. Every success is a team win. Each person on the team has a role to play. We are a big family that moves forward together, supports and listens each other regardless of gender, race or religion. We move forward and win together. Sometimes we fall, but we learn from our mistakes and rise stronger together. I would argue that fostering more inclusive company cultures will help attract more women to the field of AI and even tech at large. I would say “Don’t stop until you are proud”. I keep telling myself this, I believe in it and I say it regularly to every member of my team. When I took over Zoomdle, I immediately lost it. I had been sold a great concept, a highly motivated team, results that made me dream. In reality it was quite the opposite. It was very hard and I really wondered how I was going to get there. I met with the entire team, we talked, I reimagined the product and the tech we needed to get there. We basically went back to the drawing board, back to square one. Wishibam started slowly. The team grew, and I made sure that everyone recruited, regardless of their position, was someone who was motivated and believed in the project. Because for me, skills are not everything. It’s hard to be an entrepreneur because you don’t know if the project will take-off, nore how long it will take. And it’s even harder because even in difficult times, you have to keep your head up, and keep motivating the troops. We had our first results, we won our first competitions. And it boosted everyone’s spirits. We also experiences some shortcomings, but we were all convinced that our solution had potential, so we kept on going. And then we were contacted to work on The Village project. We were all very happy, very proud to have been selected. At the beginning, we only had to work on the installation of our shopping assistant service and integrate to the future eshop. An external service provider had to take care of everything else. However, they were unable to deliver a product that met the specifications of our common client. So we offered to manage the entire project. Which our client, Compagnie de Phalsbourg, accepted. This changed everything for us. I knew that my team was able to release the site that would serve as an eshop and fulfill our client’s specifications, that we would then be able to add delivery to the product. The CRM and e-personal shopper were ready. I had high hopes, and we succeeded. I had trouble realizing it, but we did it. And because everything has gone well and the solution is working, I told my team, “Let’s go on, let’s go further, now let’s tackle the digitization of city centers”. Every time I succeed, I want more. There are so many things I wish I could do. I try to stay very involved in making sure that there are more women in IT: I speak at conferences, whether they are at trade fairs, professional meetings or in schools. I would really like to see more of us, and above all, that webe recognized for our true value. We still have too many clichés floating around, especially in tech. If I could find a way to allow women to better find their place, I would be very happy. I would love to have that power.